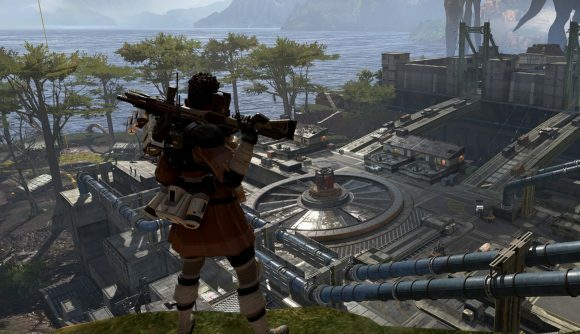 March 04, 2019 Apex Legends has hit yet another massive player count milestone. If you’re keeping track at home, Apex Legends took eight hours to reach one million players, 24 hours to reach 2.5 million, and 72 hours to reach ten million. A week later, that number hit 25 million, with a peak concurrent player count of more than two million. But it shows no sign of stopping. In a video published earlier today, the game’s official YouTube account announced that Respawn’s battle royale – despite having only been out for a month – now has more than 50 million registered players. If you’d like some more stats to go along with that, then you’ve got them. Those 50 million players have used 158 million finishers, and activated their ultimates more than 1.2 billion times (which is an awful lot of ziplines and Lifeline packages). That game-changing ping system is also working out, with more than 31 billion pings placed already. There’s a whole load more stats on offer in that trailer, drawing from the game’s incredibly strong community, and it looks like the developer is happy to lean into those Mozambique memes too. There’s no update on the game’s concurrent player count, but it’s already doing pretty well. Two million concurrents beats every single Steam record outside of PUBG’s top number, though that’s not entirely fair, since the Apex Legends also include console releases. A closer comparison is the Fortnite player count, which is now over 200 million and hit a peak of at least 8.9 million concurrent. As Daniel Ahmad notes on Twitter, Apex Legends is on track to get there fast – it took Fortnite 16 weeks to reach 45 million players, while Apex has beaten that total in just 4. In the eyes of some players, however, Respawn will likely have lost marks for the simple fact that it’s not making Titanfall 3. There are also cosmetic loot boxes which aren’t likely to prove too popular, but the developer says that’s a significant part of why Apex Legends launched so quickly.